Leading distributor of DRI WASH 'n GUARD(R) since 2003. 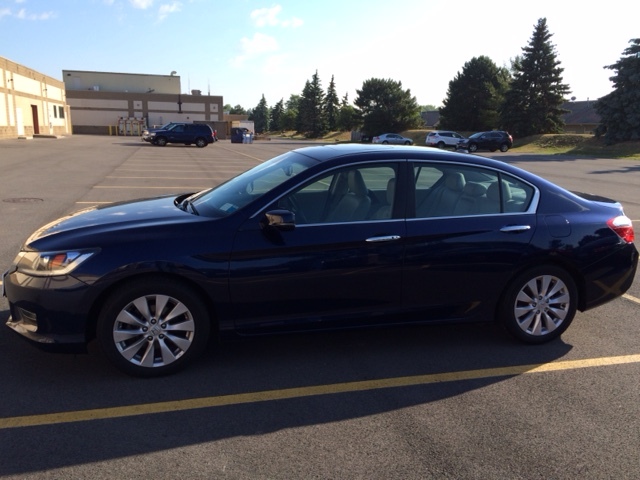 This is a great article on best practices for using a Waterless Car Wash. Without pushing any specific product, it gives a great set of rules to follow. Another article, from a different author, about using waterless car washes. 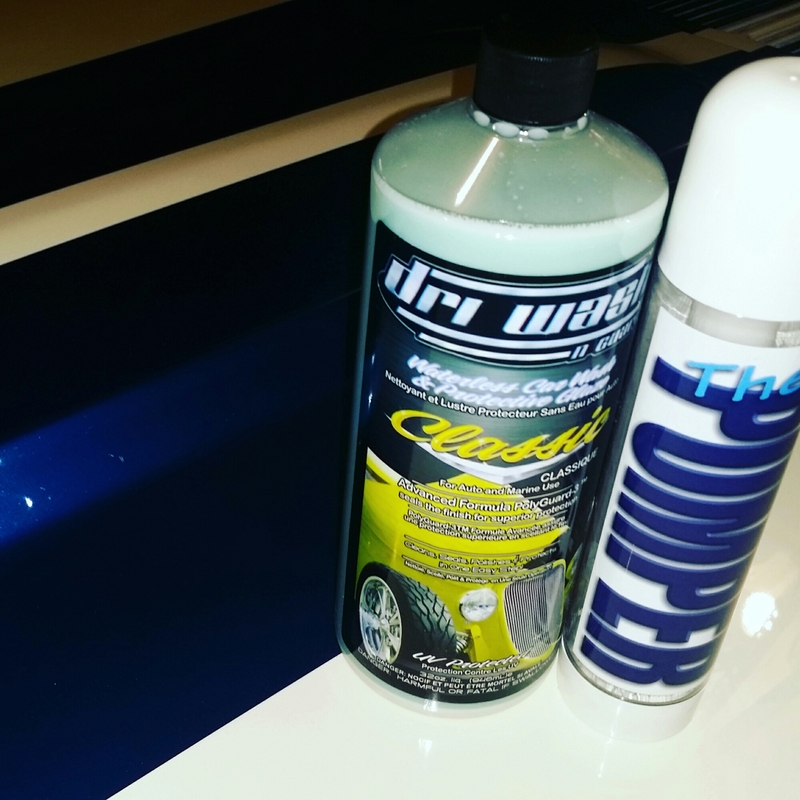 I’m a man of, well, I’m a distributor of one of the oldest detailing products on the market today. It’s been around since the troubadours reached Bombay – no, not really, it’s been around since the early 90’s. OK. Enough of the ‘Stones lyrics. It’s a product that many of you have heard of, and many of have used it in the past, and many you may have even distributed it at some point in the past 25 years. And yes, it’s still around today. It still has a great following. However, I’m sure many of you have never heard of it. Let me introduce it to you. It’s a product whose official name is DRI WASH ‘n GUARD(R) Waterless Car Wash and Protective Glaze. But let me tell you what it really is. DRI WASH ‘n GUARD Classic with the Pumper. DriWash, DryWash, DRI WASH ‘n GUARD (or DW&G) is one of the best ways to keep your car looking good, looking like it just rolled out of the showroom, for many years to come. Think of is as the original quick detailer. You just spray it on, wipe it to a haze, then buff it to a shine. It’s really that easy. And the best part? The car does not have to be pre-cleaned with water. Did you notice the words in the official title “Waterless Car Wash”? And no, it won’t scratch. Seriously. It wont. 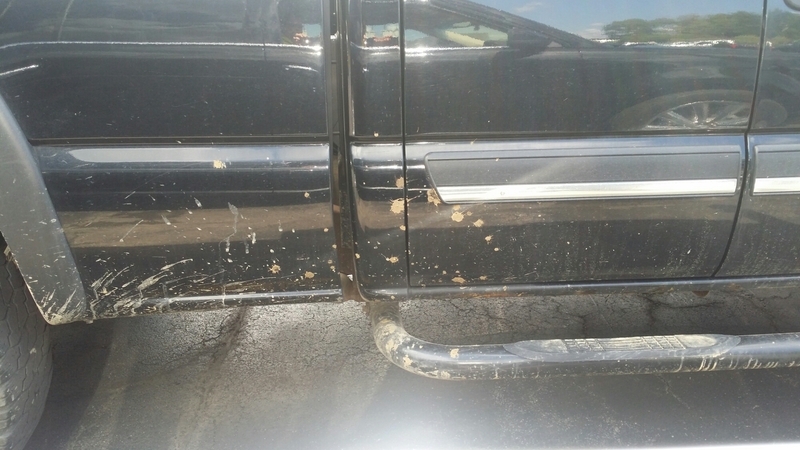 Now of course – you have to have some common sense about just how dirty is too dirty. If you just competed in a Monster Truck Mud Bog, you don’t want to use DW&G. However, if your car is dirty from the last rainfall -it’s a perfect opportunity to clean, seal and protect using DW&G. Like I always tell everyone, if this product didn’t perform as it promises it will, do you think it would still be around? FOR 25 YEARS. Especially in today’s day and age of instant information. If it was any kind of snake oil, it would have been gone long ago. But it still lives on. It’s not available in stores. Only through authorized distributors. Yes, it is a direct sales model, or network marketing model, or MLM. But you don’t have to worry about any of that. Don’t let any of that bother you – but if you’d like to know more, just visit this site. The product is what I’m here to tell you about. I’ve been selling DriWash since 2003. I’ve been using it since the mid 90’s when I got a small 1 ounce bottle from a guy at a local motorcycle swap meet at the National Guard Armory. I took the bottle and set it on my “car cleaning supplies shelf” in my garage. I forgot about it for quite some time, until I noticed that my Sportster had some scratches around the fuel cap on the tank. I would wear cloves when I rode, and often times I would have the gloves on when I went to fill the tank with gas. The leather gloves would contact the paint around the cap when I went to unscrew it. I tried a couple of things on my “car cleaning supplies shelf” but nothing seemed to work. Then I reached for the 1 ounce sample of Dri Wash. I sprayed it on the tank, wiped it in, then buffed it. The scratches were less noticeable. I was amazed! Remember, the second part of the official title is “protective glaze”. If you’ve ever used a glaze before, it helps to fill in small feather scratches, to make them less noticeable. So, I bought a 32oz bottle. I loved the way it worked, and used it on my daily drivers. I had a black 1986 Fiero GT at the time – it it brought the car alive. It beads the water when it rains, really gives the paint some depth, and really cleans anything that’s on the surface: bugs, light tar, road dirt, fly droppings. Pretty much anything. A few years after I started selling it, I restored my 1965 Mustang 2+2 Fastback. That was back in 2005 – and the car still looks like it rolled out of the paintbooth. Now granted, the car isn’t driven every day, but none-the-less, since 2005, the car has never been washed with water, believe it or not. Believe it. Never washed with water. My 1965 Mustang – Only Dri Washed since 2005. I get calls from people every day that say they remember this product. The used it way back when, but the guy that they bought it from is no longer around. Well, I’m still around. I don’t make my living selling this product, so I don’t don’t depend on sales of it to feed my family. I’m an enthusiast who really loves the product, and have become one of the longest active and largest distributors of the product. I use DriWash on my 34 Chevy 5 window Coupe. I am always looking for the best products to clean. I have a cabinet full of products that claimed they were the best that I no longer use. I saw DriWash in an advertisement and decided to try it. I was amazed at the results I use it in my garage and take it along to shows. It’s easy to use and it does WORK! His car looks like new – but you already knew that. Before you place your next order on DriWashSolutions.com, be sure to sign up for our rewards program. When you refer a friend, either by sending them an e-mail, or sharing a link on your favorite social media site (facebook, twitter, instagram, etc) you’ll both benefit with savings on your next purchase. 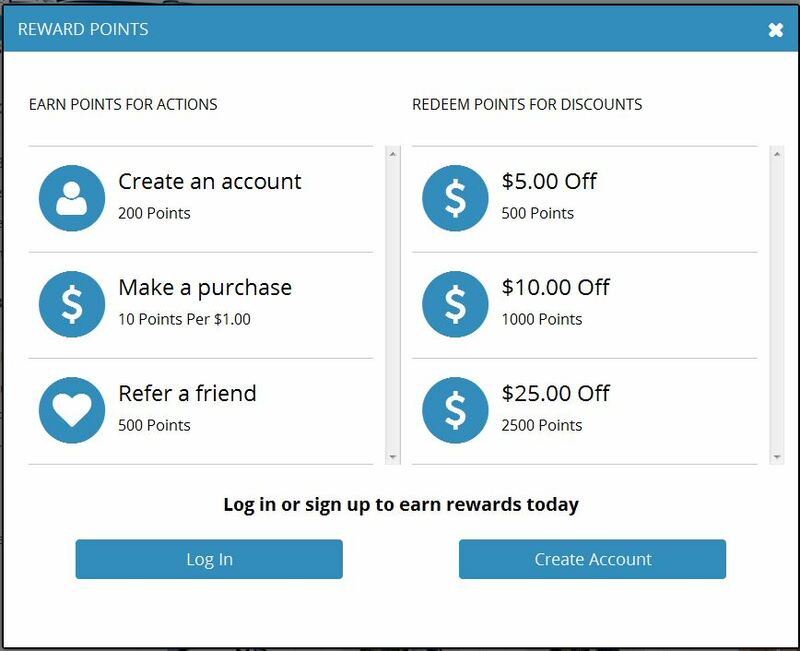 So be sure to click the tab on the left side or the page (desktops only) and sign up for our reward and referral program and start earning points toward your next purchase!